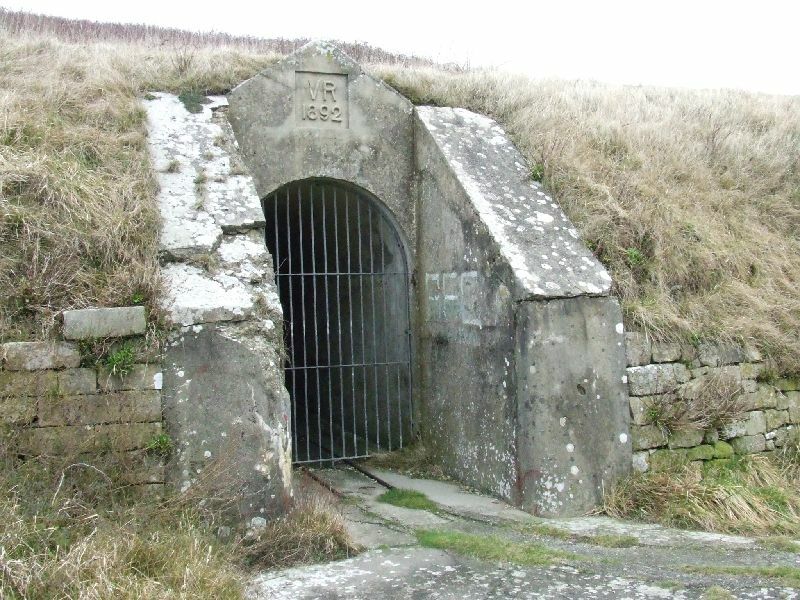 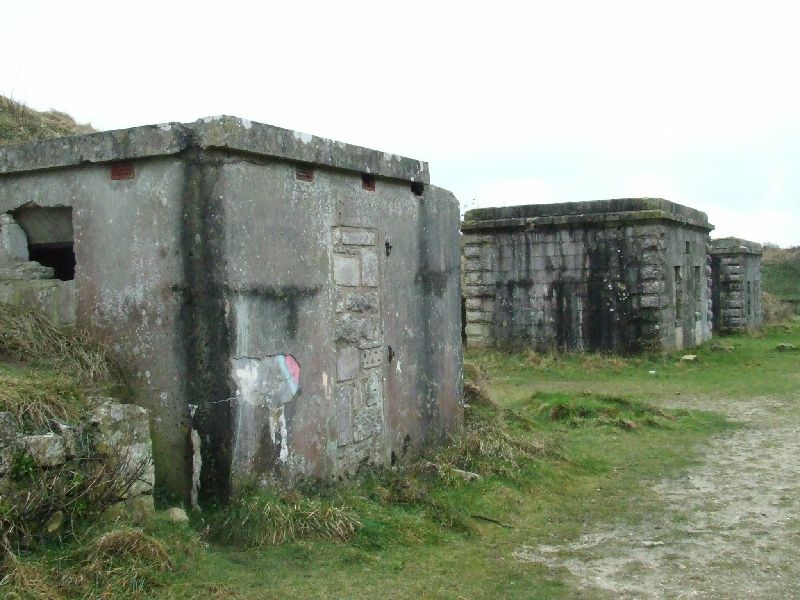 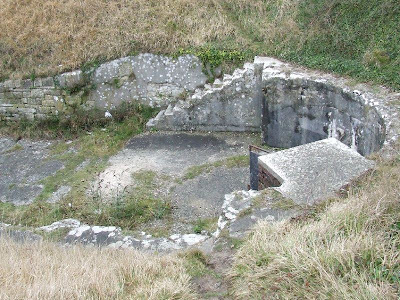 This battery was constructed in the 1890s on the high ground between the Verne Citadel and the stone quarries on the penninsula of Portland in Dorset. 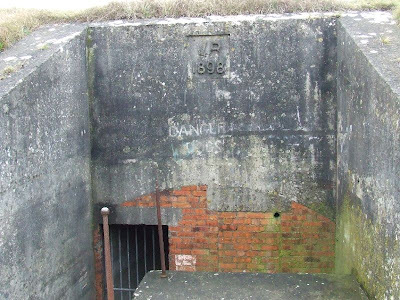 It was armed with six 9-inch guns in concrete emplacements which are located in a sunken area with surrounding earthworks. 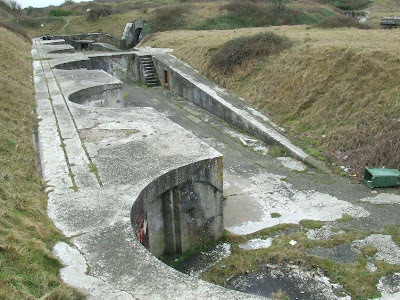 The guns were served by three underground magazines, which still retain the rails used to carry the shells. 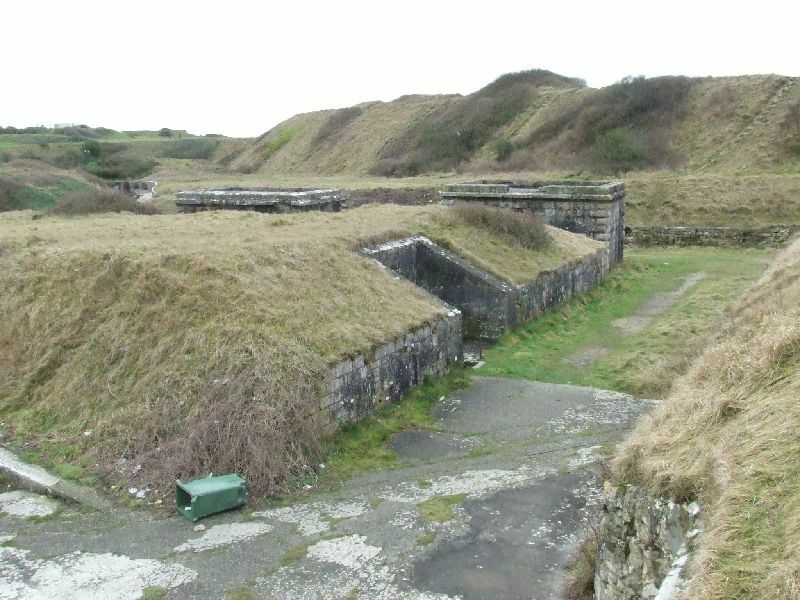 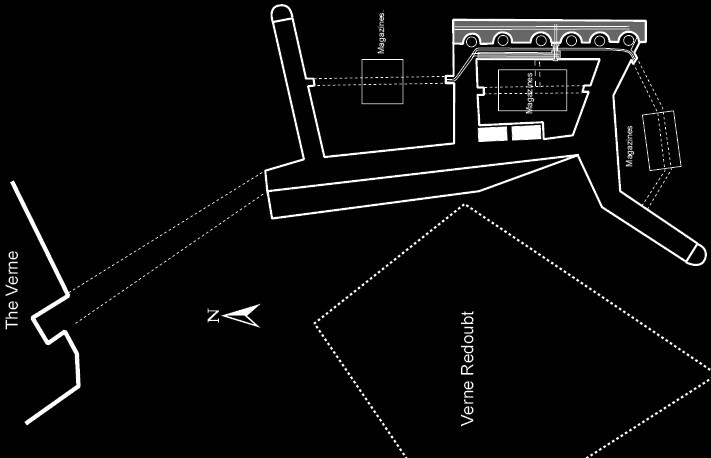 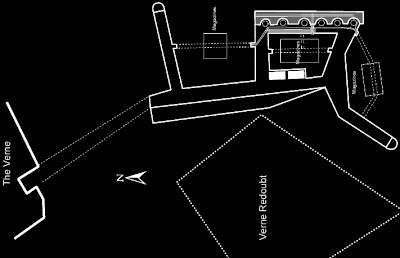 A few small surface buildings also remain, which were presumably stores, as the barracks for the battery were located within the nearby Citadel. 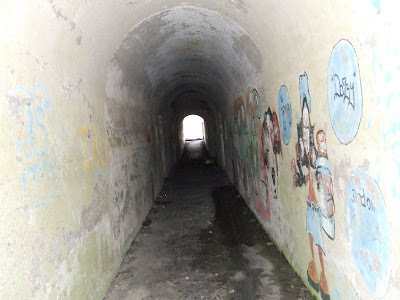 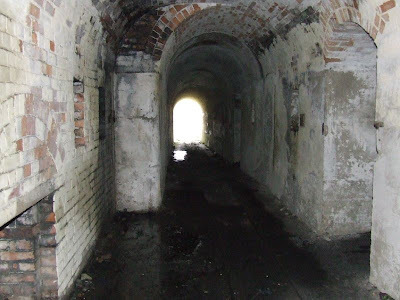 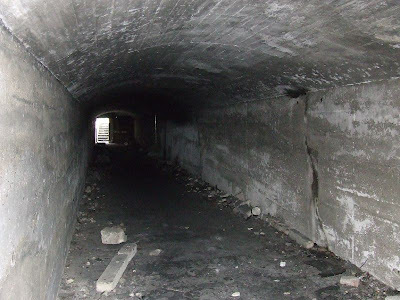 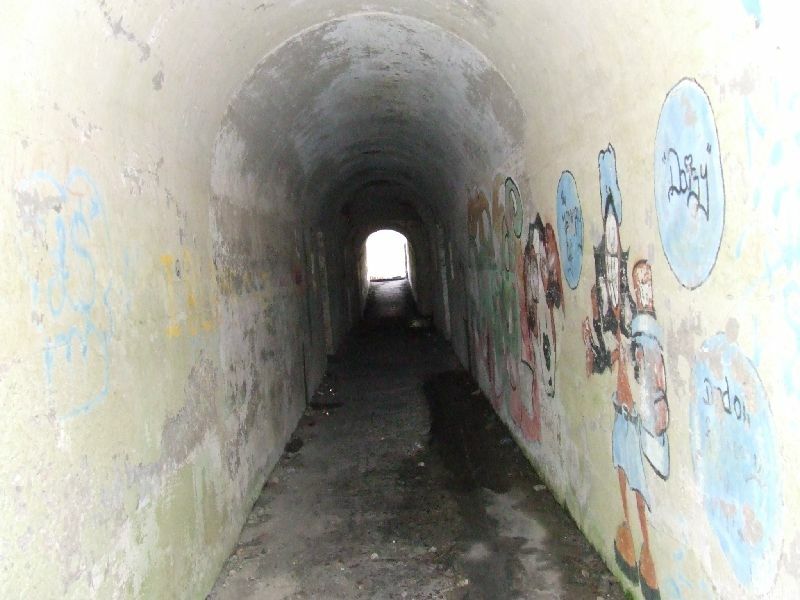 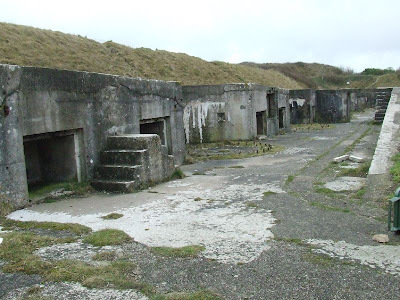 The battery is now a semi-tourist attraction, being shown on sign posts and guide books etc, but remains derelict and has unfortunately suffered at the hands of vandals due to its exposed position.